About the Coach: Kadour Ziani was born in France in 1973 from Algerian parents. He grew up in a very poor neighborhood, but he avoided the trouble of the streets by immersing himself into a variety of sports. He played basketball, volleyball, was a professional soccer goalkeeper until 2002, and he still competes in track and field as a high jumper. Since 1997, he has been part of the Slam Nation, a multicultural group of high-flying athletes who travel around the world performing spectacular dunking demonstrations. 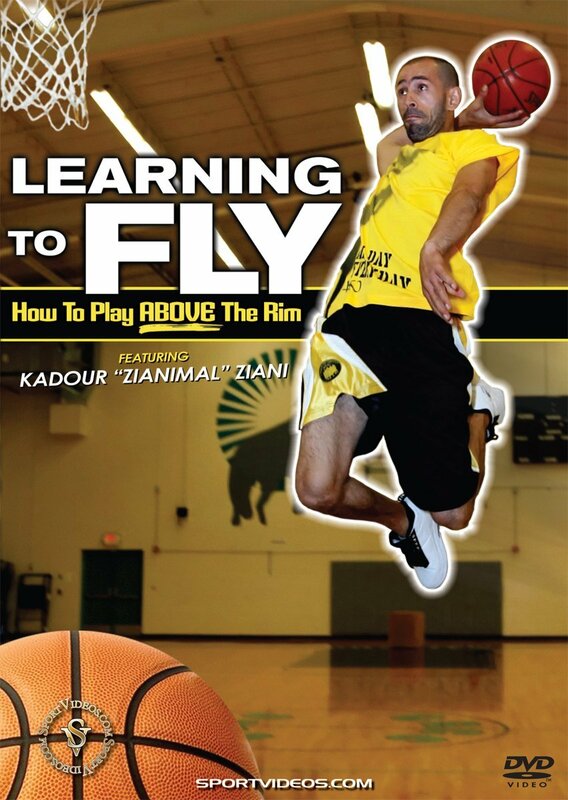 Kadour has a remarkable 56 inches vertical leap and has become a legend on youtube. His specialty dunks are the 360, 360 cobra and double windmill. He also has the amazing ability to jump up and and kick a ball off from the rim.